Explicit Legends of the Panel: Soda Pop, FanExpo Toronto and What is that??? We are making appearances??? 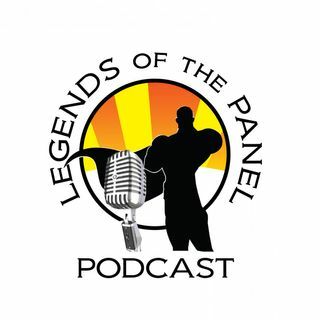 On this episode, Mr Chulak is just back from South Carolina and the Columbia Comic Con (Soda City) Where he had an awesome time meeting voice actor Billy West and photo op with Luke Cage actor Mike Colter. We then spend most of the night with KJ speaking ... See More volumes about Fan Expo Canada. FanExpo Canada is the third largest convention for comics and media behind SanDiego (#2) and New York (#1) However this year, with price hikes, and changes to structure this show demonstrates an ego larger than that of SDCC. Beyond conventions, KJ, Lady Archer and Chulak talk about the Parker-Reef project and foundation project of friend to the show Chris Campana (@campanaart on instagram). In an emotional moent KJ speaks about the passion Chris has behind not only the project of the book, but also behind the Not-For-Profit organization Chris is setting up on the name of his son Parker, and his Fiance Tana who he suddenly lost back in March this year. As Chris specifically said to KJ "No one can understand what you go through, but I was blessed by the baby shower and all the outpouring of love from friend and family. Every family deserves that, no matter if they are separated, divorced, not supported or just having trouble making it. This foundation is meant to make sure everyone has what they need." At the time of recording the kickstarter for Parker-Reef had raised $13,840 of the $14,000 goal. Geek Culturecast Network encourages everyone that if you can, support this worthwhile project. KJ announced that there is work on two appearances at PopCulture Canada events in December in Oshawa and Bowmanville Ontario, as well as interviews at Whitby Comic Arts Festival in November. Watch for more details in the coming weeks!